Move over, Ben Stiller…there are about to be a lot more people taking the overnight shift at the museum! 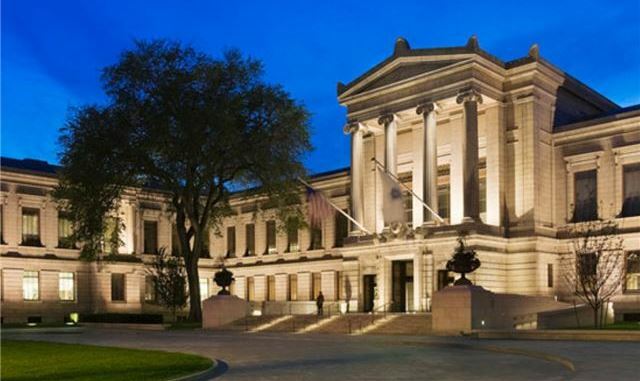 Head to Boston’s Museum of Fine Arts this Saturday (September 17) for the most cultured slumber party ever! As part of the museum’s #mfaNOW program, the MFA’s Linde Family Wing for Contemporary Art will remain open all night long after the rest of the galleries close. From 6PM on Saturday until 9AM the following morning, enjoy lawn games and food trucks, dancing and stargazing in the courtyard, and get the rare opportunity to see after-hours footage of Christian Marclay’s 24-hour video piece The Clock. The contemporary wing’s gallery that includes work from such artists as Terry Winters and Frances Stark will also be on display. The event will be free until 9AM, so if you arrive early on Sunday morning, enjoy a free day at the MFA!